Since the early seventies, it has been our honor to take part in the way that Bradenton and its visitors enjoy a meal. Today, we are thrilled to be accepting 10 Manatee Readers' Choice Awards in several local food & drink categories, and I would like to thank our amazing fans for the tremendous support. I must also recognize our incredible management team and staff that come together every day to make PIER 22 the landmark restaurant in historic downtown Bradenton. PIER 22 enjoys a special relationship with our guests. We're more than just a restaurant, wedding venue or catering company. PIER 22 has room for everyone at the table. We can accommodate just about any need from happy hour to romantic nights out, grand ballroom celebrations or offsite and onsite catering events; we invite Sarasota-Manatee residents and visitors to discover what PIER 22 is to you. 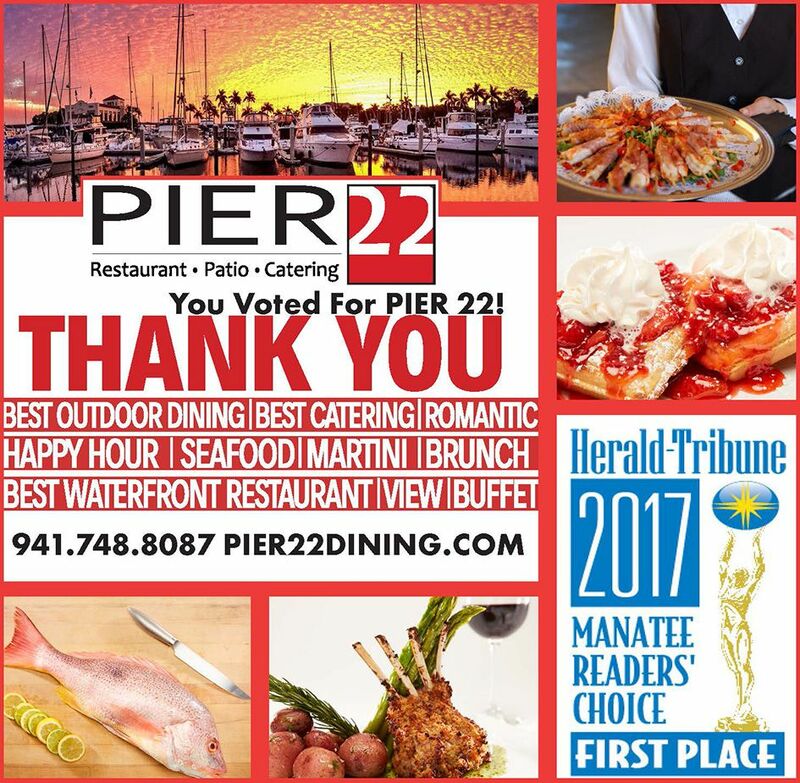 Thank you again to our fans for their support, and we promise to continue providing our services with the same passion for quality that makes PIER 22 one of Manatee County's best restaurants.